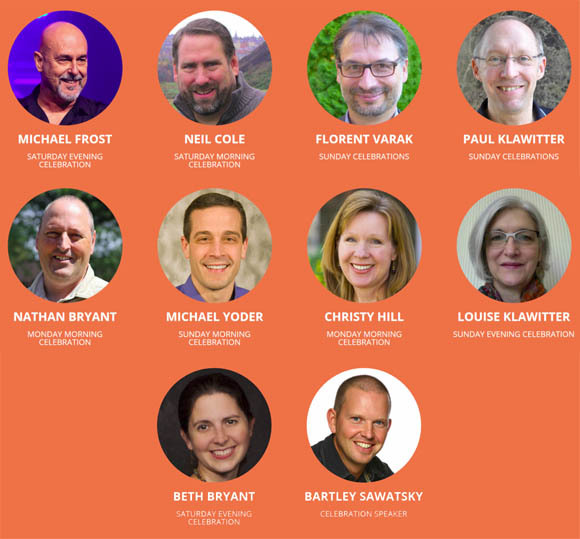 The featured celebration speakers at the upcoming Margins|Conference, the national conference of the Fellowship of Grace Brethren Churches, all have decades of experience ministering from the margins. They will talk from the Bible and from experience… not theory! Paul Klawitter has been working for decades in church planting and youth ministry in France from the margins. Paul and Florent Varak speak on Sunday. Nathan Bryant has served as team leader for the Canadian church planting ministry which eventually became GBCanada. Nathan is our wrap-up speaker on Monday morning. Beth Bryant has had the privilege of taking an active part in all of the Canadian church plants so far in a wide variety of roles ranging from strategic planning and coaching to children’s ministry and administration. She will talk about the small but might ants on Saturday evening. Mike Yoder became the lead pastor at Grace Polaris Church after a decade of missionary service in Berlin, Germany and later working in cross-cultural leadership training with Encompass World Partners. Mike will introduce us to the Hyrax on Sunday morning. Louise Klawitter has served in France since 1987, as well as in greater Europe and internationally with her husband Paul, in the Encompass Church planting Network since 1987. Louise will talk Sunday evening about the stealthy lizard. Christy Hill teaches undergraduate and graduate students in the School of Ministry Studies at Grace College and Seminary. Dr. Hill talks about the cooperative locusts on Monday morning. More information is available in the speakers section of visionconference.us. The conference will be held July 22-25 in Toronto. Click here to register.